Available throughout South and West London: Fulham, Chiswick, Richmond, Twickenham and surroundings. Made with nothing less than the very best materials and individually crafted to fit your windows and your lifestyle. 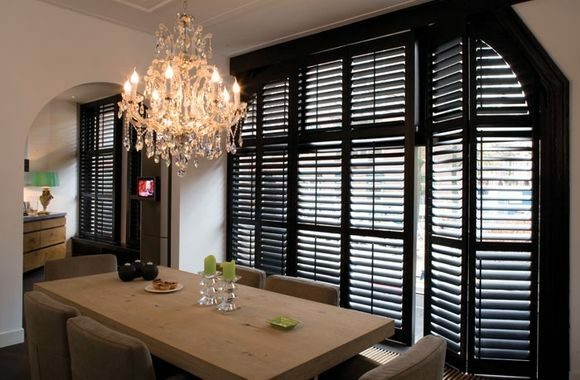 Woodlore® MDF Shutters use real wood, look like real wood, yet are much stronger and less expensive. 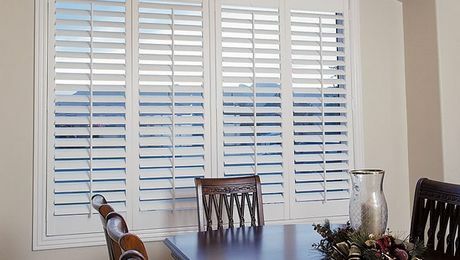 Lifetime® ABS Shutters - Lightweight, yet with amazing strength and beauty. Manufactured in a mix of sustainable hardwoods all with a linear grain ideal for painting by providing a uniform finish. 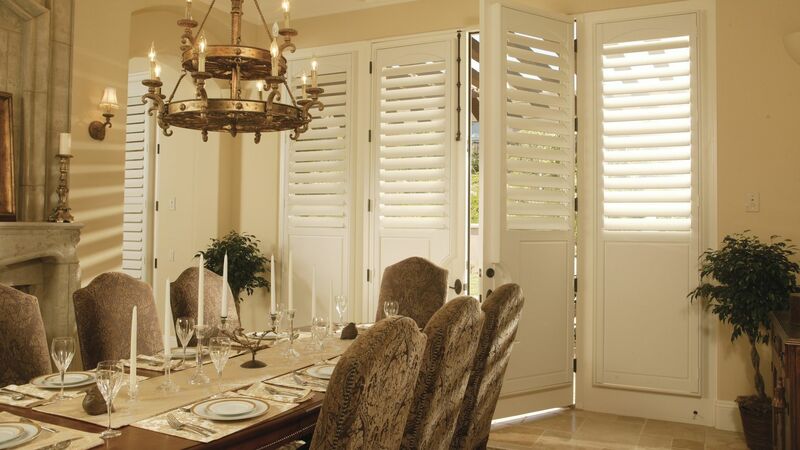 The beauty and elegance of real wood to complement your home – Sussex® Shutters, the utmost design expression. Panels are divided into sections using separate tilt rods. 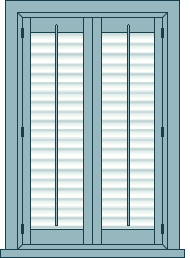 Ideal for many applications, café style shutters cover only the lower part of the window, leaving the top open. Operating with individual top and bottom panels for maximum choice of light and privacy. Solid panels that provide total privacy and security, and keep noise levels to a minimum. Ideal for use in high traffic areas. Can be crafted to fit windows of any shape or size. A very wide choice of patterns and colours to suit any commercial building. All the beauty of real wood, but without the price tag. 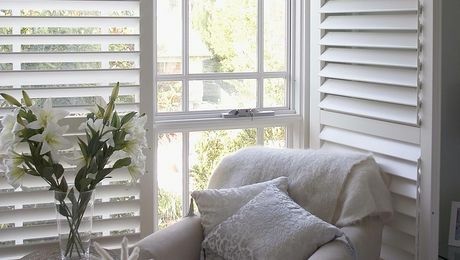 Woodlore® MDF Plantation Shutters are crafted by hand in our workshops by artisans to create the perfect combination of beauty, strength, and elegance for your windows. 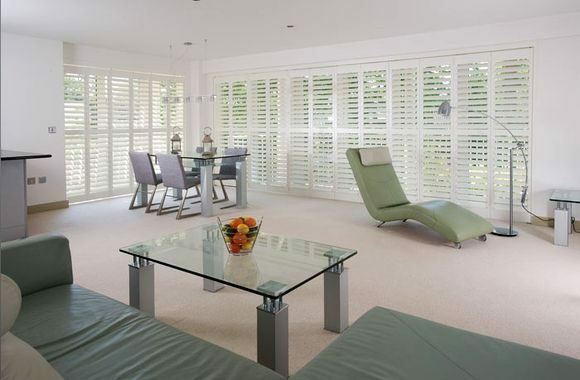 Woodlore® MDF Plantation Shutters are the ultimate in shutter design, offering nothing less than you would expect from the leading plantation shutter manufacturers in the country. 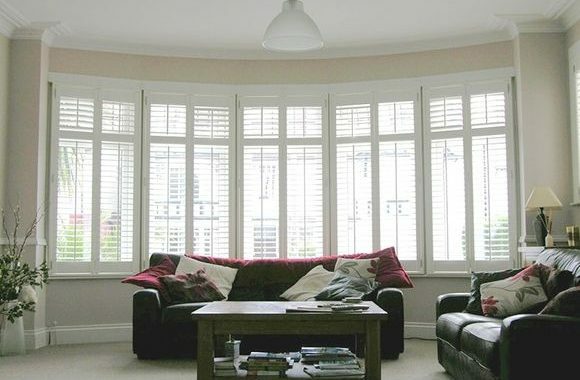 Every shutter is created just for you in your choice of frame design and wide range of colours to complement your room. 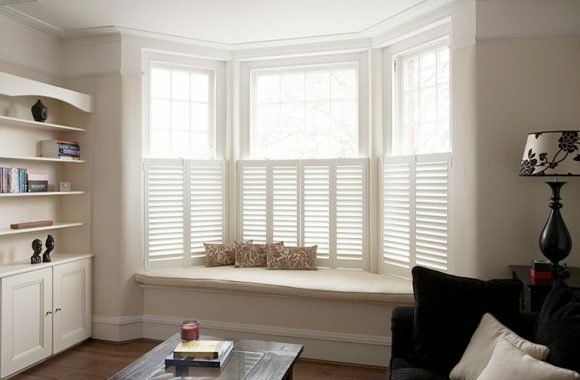 Woodlore® MDF Plantation Shutters are as strong as you can find anywhere and will resist fading, chipping, cracking, or warping, and are backed by our famous lifetime limited warranty. Every shutter undergoes no fewer than 25 separate inspections during the course of production in order to ensure perfect fit, finish, and operation. 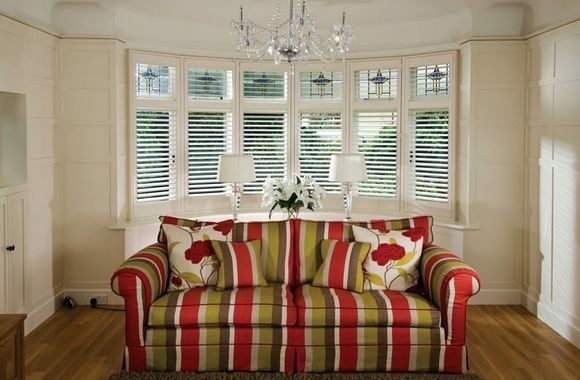 You can mix and match frame designs and panel colours to your heart’s content in order to have shutters that are a joy to possess. 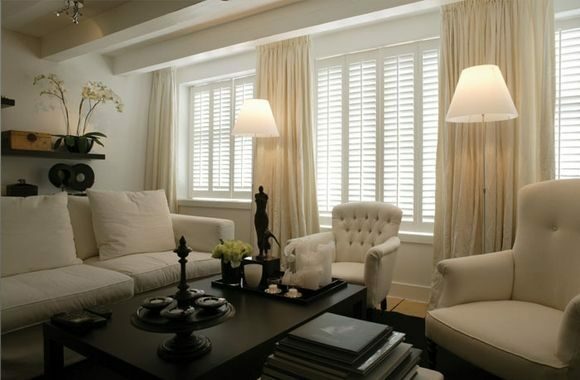 You only buy plantation shutters once, so it makes sense to have nothing short of the best. Lifetime® ABS Plantation Shutters are manufactured from a man-made material called ABS (Acrolonytrile Butadene Styrene) which is the same material used in Lego building blocks. If it is tough enough to withstand the attentions of kids, then it is certainly tough enough to be used for plantation shutters! Tough they may be, but Lifetime® ABS Plantation Shutters also exude timeless elegance to grace your windows and your décor. They cannot rot, warp, fade, chip, or crack, and are resistant to extremes of heat in the summer and ultra-violet light. 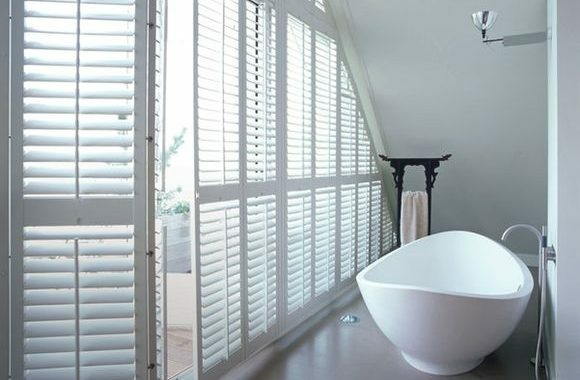 Choose from a wide range of different frame designs, panels, colours, and hardware to produce shutters that are unique to you. Every Lifetime® ABS Plantation Shutters comes with our limited lifetime guarantee for your security and peace of mind. 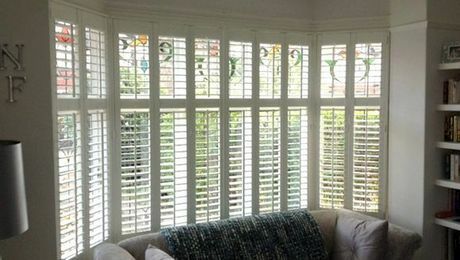 Richmond® shutters are manufactured utilising the highest quality standards as all other Lifetime substrates but by using our in depth knowledge of the shutter manufacturing process we have developed a symbiotic combination of Woodlore® frames and BassWood panels to provide a great combination of value for money and quality. The panels are manufactured in LifetimeShutters’ top grade, kiln dried and laminated BassWood which has the ideal mechanical properties and evenness of grain to ensure a consistency of finish, strength and rigidity. 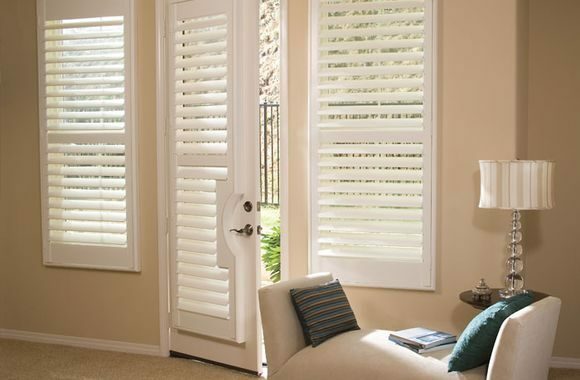 Being a lightweight wood it also provides a large amount of flexibility when it comes to designing your shutters as the weight naturally affects the expanse of window you can can cover without needing extra support. These BassWood panels are manufactured using a finger jointing method unlike our standard BassWood panels. This allows off-cuts to be utilised which saves cost. Lifetime finger joints are made using the latest Weinig machinery which produces a market leading 5mm finger joint compared to 10-14mm finger joint that the majority of other shutter manufacturers utilise. The frames are manufactured in Medium Density Fibreboard (MDF) as per our Woodlore® range. MDF is very strong and has excellent dimensional stability. The MDF frames is finished in an extruded tough, and water resistant poly coating which is resistant to scuffing, staining, cracking, chipping and fading. The frames are engineered and made from 90 percent recovered and reclaimed wood fibre. Although MDF is heavier than our hardwoods as the frames are fixed to the window the requirement for weight saving is not as great as it is for the panels. 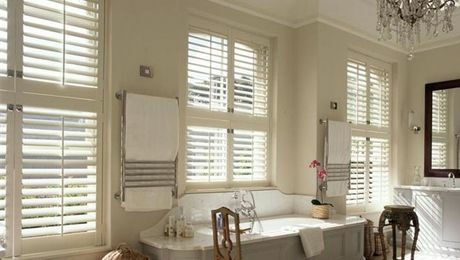 Sussex® Wooden Plantation Shutters are crafted using only the very finest timbers hand-selected by our buyer from one of a very few specialist timber importers. 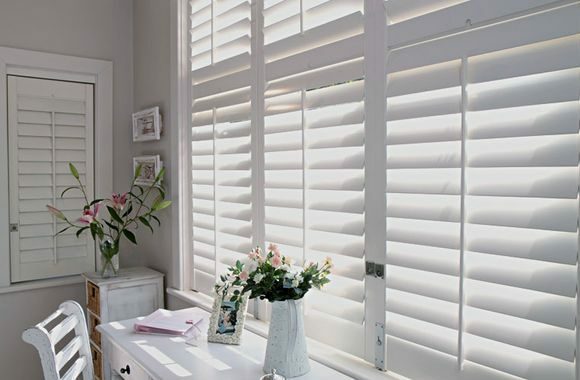 Only quarter-sawn wood is used in Sussex® Wooden Plantation Shutters which is the same type of wood that is used to create heirloom furniture. Quarter-sawing is a process by which the logs are cut into quarters along their length. Each quarter is then tipped up on its’ point and cut again along its’ axis. This method of cutting produces timbers with annual growth rings most perpendicular to the faces resulting in straight grain lines, and is also stronger than flat sawn wood. Quarter-sawn wood is far less likely to suffer from warping, cupping, or twisting. 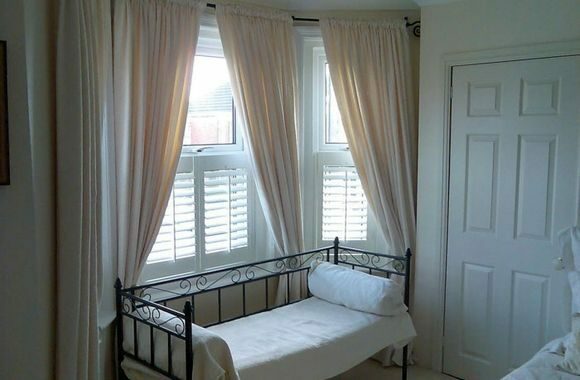 Our Prescription Wood Conditioning technique is something that to our knowledge is not carried out by any other shutter manufacturer. 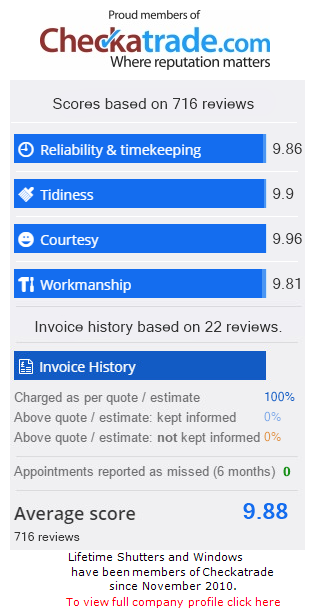 We first measure the humidity of your home, and the wood to be used for your shutters is then dried to match that humidity. 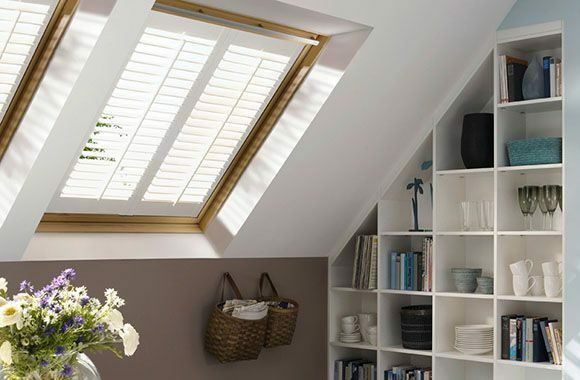 This ensures that your new Sussex® Wooden Plantation Shutters will close tightly without any gaps and that they will stay that way for as long as you live in your home. All the frames of Sussex® Wooden Plantation Shutters are crafted using mortise and tenon joints which are the strongest in carpentry. Each piece of timber is subject to a process of sanding by hand with gradually finer grades of sandpaper which opens the pores of the wood and provides the ultimate smooth finish. The wood is then stained or painted in the colour of your choice to achieve a deep translucent finish that is a joy to behold. We stand by every Sussex® Wooden Plantation Shutter that we make with our limited lifetime warranty.